Not only Armenians living in their homeland, but also those in the entire world should refuse to buy Turkish goods because by buying them they support terrorism and production of weapons that are used against Armenians, argue activists of the “Protest Against Turkish Product” initiative. 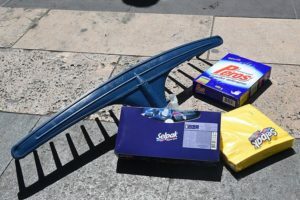 On Thursday, the initiative group is holding a rally in front of the government building in Armenia, demanding a government ban on the import of Turkish goods, and urging citizens to stop consuming them. “We cannot be sure that through Turkish food we are not subjected to attack by a bacteriological weapon. 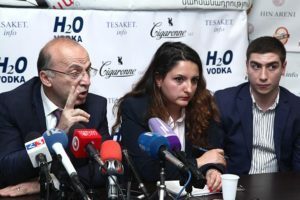 This is a very important issue of security, which should be officially dealt with,” Tsovinar Kostanyan, a member of For the Sake of Law civic movement, stated, adding that they also demand that the government develop flexible customs policies and ways to import goods from other countries. Initiative members are particularly concerned by a considerable increase in the import of Turkish goods in recent years. Whereas for 17 years, from 1991 to 2008, goods worth $700 million were imported to Armenia from Turkey, then from 2008 to 2014 it has already amounted to $1.5 billion. 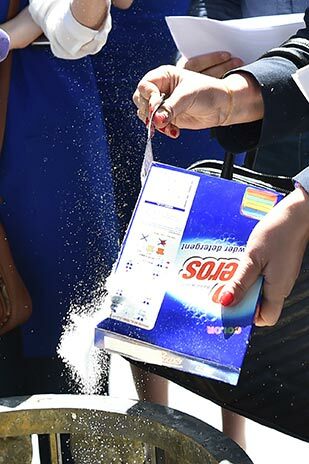 Moreover, according to Arman Ghukasyan, an organizer of the rally, these figures are official statistical data, whereas, in reality, there may be more imported products. “The fight against the import of Turkish goods has always existed, but this problem became urgent after the four-day war [in Nagorno-Karabakh]. By this initiative, we will try to do everything to succeed. It should be taken into account that we consider it a matter of national security and dignity,” said Ghukasyan. According to economist Tatul Manaseryan, the refusal of Turkish products can help increase the local production as well as reduce sponsorship of terrorism in the world, as Turkey is doing just that. “Many of our citizens go for seasonal work, with great difficulty sending money to their relatives here, and the latter by purchasing Turkish goods are funding the Turkish military production industry,” said the economist. Citing the example of Russia as a country that was very much dependent on Turkey, Manaseryan said that using the moral motive, Russia has managed to slash its economic relations with Turkey and to impose sanctions against Turkey. He added that the same can be done by Armenia. The economist pointed out that to have an effective struggle the initiative should be supported by the government, the private sector, and the civil society, whereas, even if one of them fails to support it, there cannot be any success. Calls for boycotting Turkish goods as well as resorts as travel destinations have also been made at the marginal level in Armenia in the past, with videos posted online showing how money paid for a Turkish piece of clothes eventually becomes a bullet that kills an Armenian soldier at the border with Azerbaijan. Many Armenians involved in economic dealings with Turkey as well as ordinary consumers of various Turkish goods, however, appear to be unconvinced, referring to the combination of relatively good quality and low price of apparel and other items imported from Turkey. Consequences of a possible ban on Turkish imports at the micro and macro economic levels as well as its potential impact on different social groups in Armenia have not been comprehensively estimated yet either.